Macomb County Sheriff Deputies and the US Marshals are on the hunt for Anthony Iannotti Monday August 15 after the 34-year-old Sterling Heights man was supposed to appear in county court on a case where he's accused of trying to strangle his estranged wife. This includes the US Marshals service, who are offering a $5,000 reward for information leading to his arrest in the next 24 hours. The Marshals have also released new photos of Iannotti from surveillance footage taken the day of the murder. Iannotti failed to appear or turn himself Monday in on a new case in which he's accused of murdering an acquaintance. 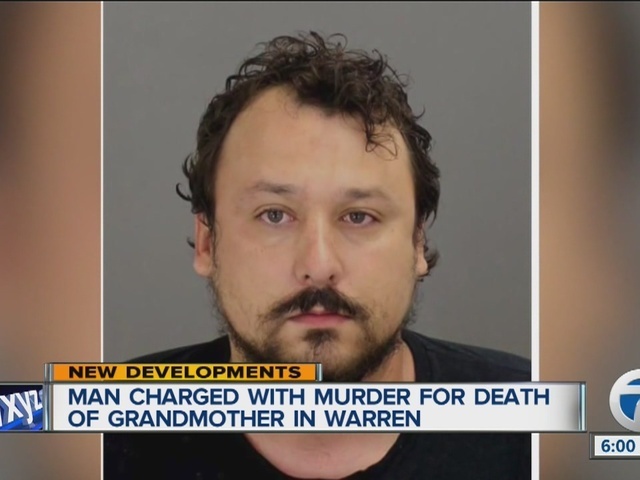 A week ago Wednesday, the day after relatives bonded Iannotti out of jail on the assault case involving his wife, Warren police say he went to the home of 62-year-old Dona Lawrence, robbed her, and stabbed her to death. Police have been searching for Iannotti since the homicide. On Monday, Macomb County Prosecutor Eric Smith authorized charges against Iannotti that include First Degree Murder and Larceny. "Iannotti will answer for these crimes," said Smith. "We're working closely with state and federal police agencies to bring about his capture." Anyone with any information on the whereabouts of Anthony Iannotti is urged to call 911 or the US Marshals at 313-234-5656.